Bankruptcy Lawyer Advice: How does Bankruptcy Affect Medical Bills? Depending on your health insurance and the medical debt, there are a few things to do before filing for bankruptcy due to medical debt. Negotiate with the various medical providers, including doctors and hospitals. Many will discount services for people who are underinsured or not insured. Hospital Care Assurance Program: patients can apply for assistance with HCAP. Contact your hospital’s financial aid counselor for assistance. Affordable Care Act non-profit hospitals are required to provide free care so that they may retain their non-profit status. Contact your hospital’s financial aid counselor to see if you qualify. 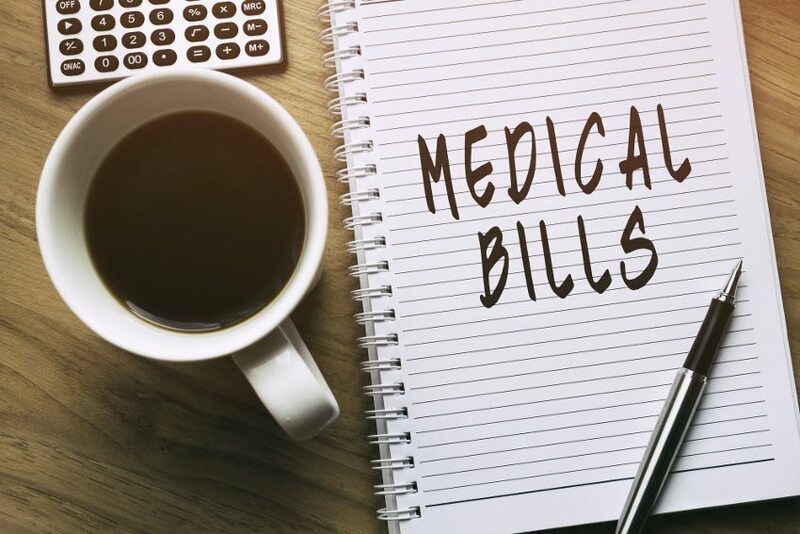 Check your medical bills carefully to make sure you are not being double-billed, or other billing errors are present. Look for unreasonably high charges and be sure to write down your questions as you formulate them, so you can contact the service providers in an efficient fashion. Meet with the financial people at each provider’s office to negotiate a lower price or develop a payment plan. Sometimes, no matter the best of intentions, the debt is overwhelming and debt discharge via bankruptcy is the only option. At this point, it is advised to hire a bankruptcy lawyer to assist you through your situation. The type of bankruptcy filed, either Chapter 7 Bankruptcy or Chapter 13 Bankruptcy, depends on your personal financial status as well as the size of the medical debt. Your bankruptcy lawyer can help you determine which type of bankruptcy is best for your situation. Filing Chapter 7 Bankruptcy is for the person who has a low income, little to no assets with equity, and has a large medical debt. Medical debt can be wiped out in a Chapter 7 bankruptcy but your credit rating will take a substantial hit. While there is no cap on the amount of medical debt that can be discharged by a Chapter 7 bankruptcy, you will still have to qualify for Chapter 7 by showing that your income if low enough to pass a disposable income means test. Chapter 13 Bankruptcy is for those who have assets with substantial equity, like real estate, vehicles, investments and so forth. In Chapter 13 Bankruptcy, you will still have to pay a portion of the medical bills, but it will help keep those equity-laden assets intact. Talk to your bankruptcy lawyer for more information. Selecting an experienced medical bankruptcy lawyer will guide you through the complex tax laws and find the best solution for your financial situation. Groce & DeArmon, P.C., one of southwest Missouri’s leading bankruptcy law firms, is ready to serve you. Contact us today for your free consultation.